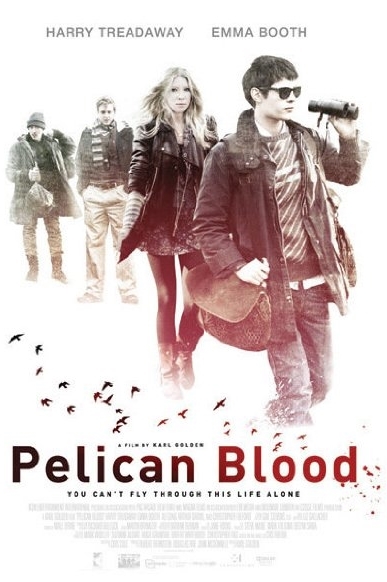 Pelican Blood tells the story of Nikko, a funny but left-of-center young man living in London. Following a disastrous break up with his girlfriend, Stevie, he's taking life one day at a time, throwing all his energy into his hobby: bird spotting Just as life becomes bearable, Stevie arrives back on the scene, causing a rift between Nikko and all his friends, who warn him she will destroy him. They are fully aware of how the couple first met: on a suicide website, pledging they will 'end it all together'. As their intense, disturbing and highly sexual connection resumes, the relationship between Nikko, Stevie, his friends and his hobby are thrown into questionable chaos.